So…yeah…let us wallow in misery and wish ourselves dead while heaping guilt onto ourselves. Let’s keep throwing the blame at one person and her family because you have nowhere else to direct your anger at. Poor Mi So takes everyone’s, even her own, punishment when it should all be directed towards the evilmastermind Na Young. The truth is sooooo close to the surface now, but I have a feeling that Na Yong’s duplicity won’t be uncovered. Kyung Soo and Mi So arrive at the center and Mi So rushes up to a little girl, but it is NOT Hae Ram. She is stunned and frozen in place. Kyung Soo helps her up and takes her outside. She is shaking like a leaf. He tells her to wait there while he runs to the car to get a blanket. Does she need calming medicine or a warm drink? He doesn’t wait for a response and just takes off. While he’s gone, Min Jae arrives and once he learns that the little girl was not Hae Ram, he lights into Mi So about her family causing trouble by passing out all those fliers without permission. Does she know how many prank calls he’s already received? This hurts Mi So even more. Of course, Min Jae doesn’t think he’s wrong. But he IS wrong. I’m not saying a normal police investigation is now good, but you can sometimes get more information faster if you do something like hand out the fliers or make the public announcement. Yes, you’ll get prank calls or mistaken people, that happens, but isn’t it better than doing nothing? Mi So is shocked. Why can’t Yoon who is Hae Ram’s grandfather hand out fliers? Didn’t they agree upon an open investigation? But he handed out the fliers before they opened the investigation and the police are still handling it as a private investigation. What was Yoon thinking? Sigh. Min Jae then demands to know if something happens to Hae Ram will the Yoon family take responsibility since it will be all their fault? This is like a sucker punch for Mi So. What did he say? 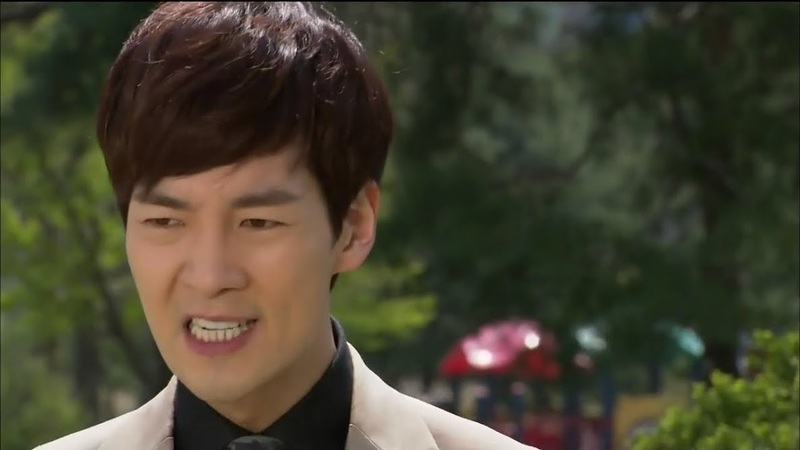 Min Jae yells it back at her and Mi So loses it and screams wanting to know what would happen to their daughter. Min Jae doesn’t answer and says that they should just stop this. You started it jacky. Min Jae asks her to go home with him and they will talk about it there. Mi So shakes off his grasp as Kyung Soo returns with the blanket and watches from a distance. Mi So is still visibly shaking, but her husband ignores her pain and distress and says that she has no right to be angry with him as who fault is it that Hae Ram is missing? If Mi So had only listened to him, if she had only kept hold of Hae Ram’s hand, none of this would have happened. SNAP. Mi So says he’s right—it’s all her fault. She has not right to laugh, to eat, to cry. She has not right to even breathe—she knows that without him telling her. Somebody punch Min Jae, please. He is very selfish and only thinks of himself and his pain. Mi So tries to fight back tears and says if she could, she’d turn back time and change everything, but she can’t, so what does her husband want her to do? Min Jae says nothing and walks away angry. Kyung Soo drives the pale and silent crying Mi So back home. She recalls her husband’s accusations and sniffs back her tears. She then gets a call from him which she ignores. Yeah…there stressed marriage is reaching its breaking point. Min Jae stands in front of the center and wonders where his wife went . Did she take a taxi home? Yep, she took her own, personal Kyung Soo taxi home. The anxious Na Young finally gets a hold of Kang Sik who assures her that he didn’t tell Baek about the child as that will be the end of their lives. Na Young asks if he is going to Japan and Kang Sik refuses to say. He’ll take care of it and she doesn’t need to know. He tells her to leave him alone and never call again as if Baek finds out Kang Sik is in contact with Na Young, Baek will break every bone in his body. 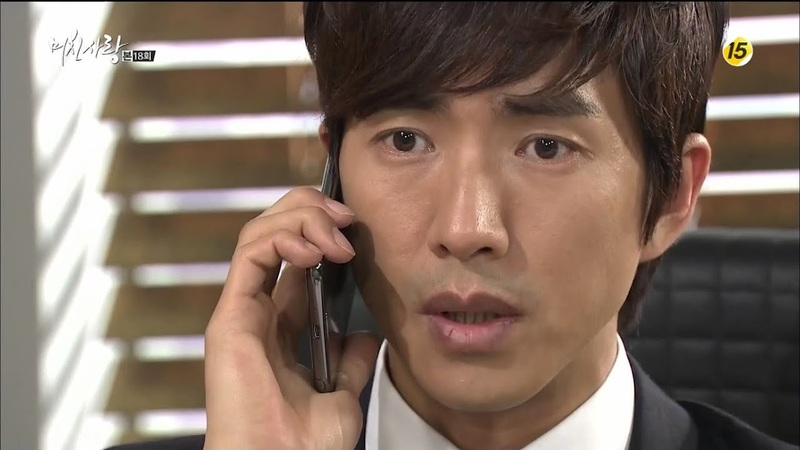 Kang Sik then hangs up and the worried Na Young frets about whether or not Kang Sik will disappear to Japan as promised. 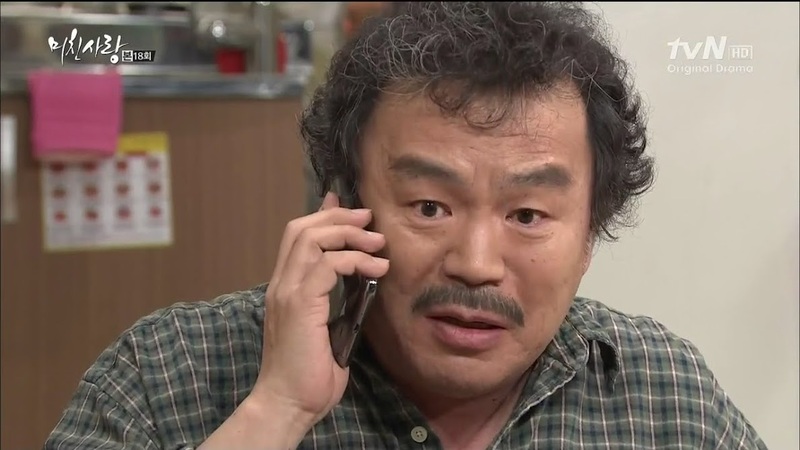 Myung Ja picks up the phone at the Lee household only to have it be a prank call. She curses the man who pranked them when Min Jae comes in. She demands to know why he rushed out of the office earlier. Min Jae doesn’t answer this and only asks where his wife is. Mi So isn’t home yet. She should have arrived by now. Where did Kyung Soo park that Min Jae didn’t notice him and Mi So? 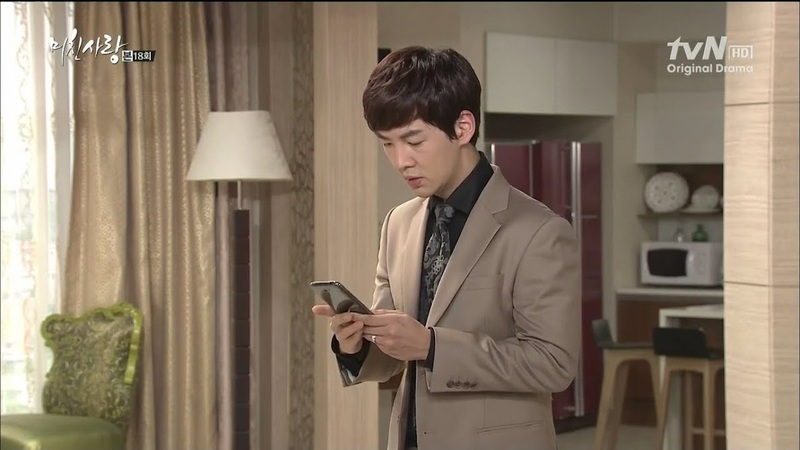 Anywho, Min Jae immediately takes out his phone to call his wife. The phone ringing wakes up Mi So who immediately answers it only to be scolded by Min Jae for leaving by herself. Where is she? Mi So looks around and says she’s right out front and will be in soon. 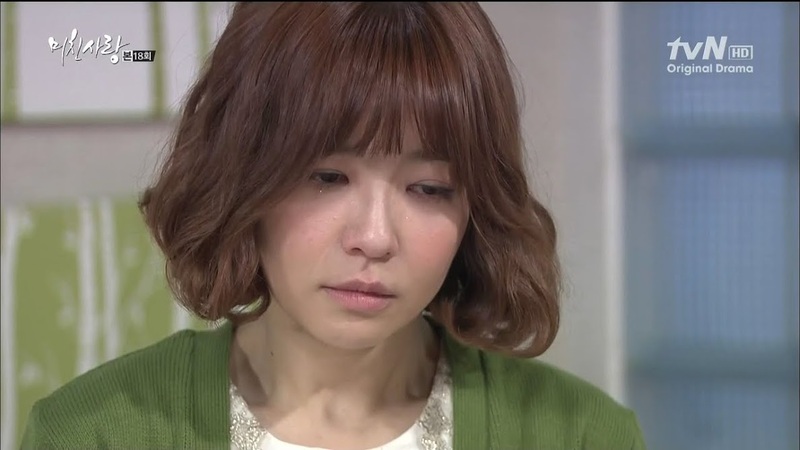 She hangs up and tells Kyung Soo that he should have woken her. He didn’t have the heart as Mi So looked so exhausted. Sleeping if she’s exhausted, eating if she’s hungry, getting a shot if she’s sick. How absurd that she still does this when her daughter is missing? Kyung Soo tells her that is all necessary as she needs to stay strong to find her daughter. This takes her slightly aback (especially after all if Min Jae’s and Myung Ja’s complaints about her in this situation). She then apologizes for burdening Kyung Soo and making him suffer. What misfortune for him to get involved with a woman like her. Mi So then thanks him for all the grace that he’s shown her. Once her daughter is found, she will make sure to repay him everything. Kyung Soo says nothing to that. Mi So then gets out of the car followed by Kyung Soo. Inside Myung Ja berates the Yoon family for the fliers and getting involved when they should just stay out of the matter. Are they purposely ruining the investigation since Hae Ram isn’t their real granddaughter? I’m really, really wanting to claw that woman’s face or slap and scream at her. Oddly enough, Min Jae does defend the Yoon family. Their intentions are good, but they never think things through thoroughly. Of course, when Myung Ja keeps complaining about them, Min Jae complains of being tired and walks away. If walking away was an Olympic sport, this man would have the gold. Instead of confronting a situation, he avoids it. Sigh. His answer is always walking or running away. Tsk, tsk. The phone rings again and it is yet another prank call. Myung Ja is upset since she can’t unplug the phone in case there is news of Hae Ram. She then calls up Yoon to complain about him passing out the fliers which is leading to the prank calls. She asks if he’s trying to get Hae Ram killed because she isn’t his flesh and blood. This shocks Yoon. Of course, Myung Ja never lets him get a word in edge wise. None of this would have happened if they had taken the money and the kids divorced. She screams at him and his family to stay out of their lives and slams down the phone. 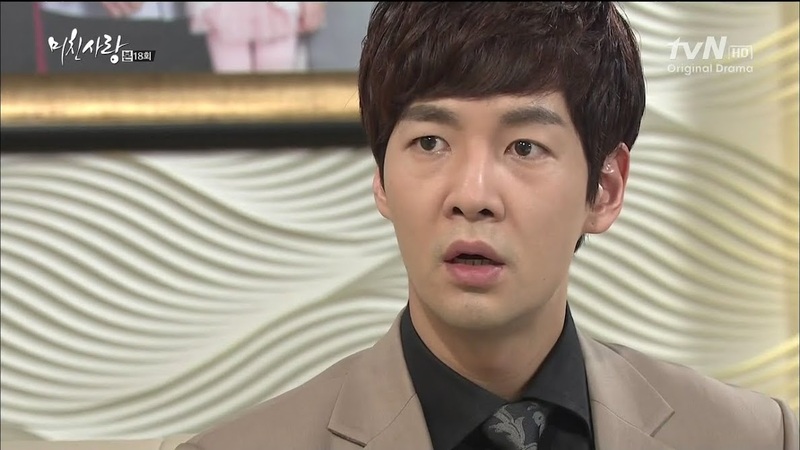 Chan Ki asks what happened and Yoon explains about the prank calls. He’s livid that people are doing something that cruel as to prank calls when a precious child is missing. 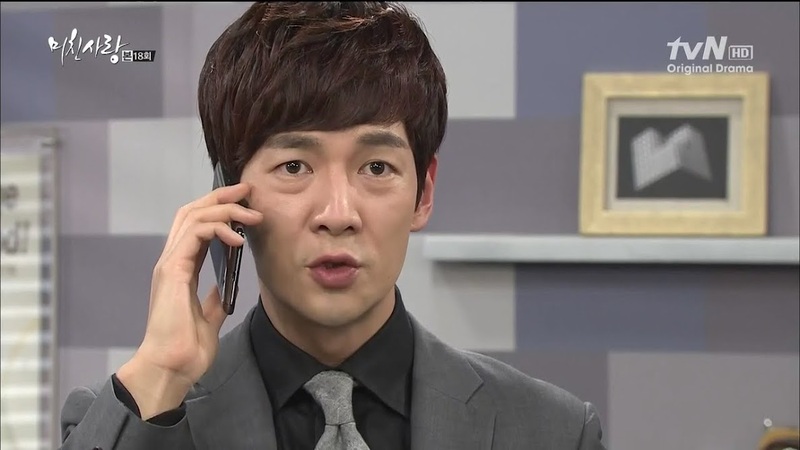 Chan Ki says they shouldn’t have put on the Lee phone number. Jong Hee says they need all available contact information so as not to miss any important information. Plus, they can’t just use the Yoon phone number since there isn’t someone who is home at all times. 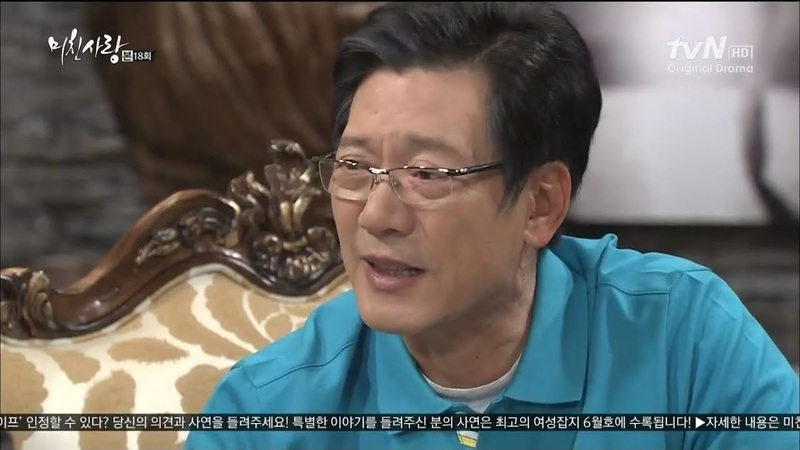 Jong Hee then complains about how horrible Myung Ja is. They are only trying to help. Who cares if she puts up with thousands of prank calls when the real call to save Hae Ram can come at any time? My sentiments exactly, although I know its hard to go through those prank calls, but there is really no way around it if you want to find somebody. Kyung Soo walks Mi So to the gate. She tells him she could have walked home herself. He tells her it’s fine and to call him whenever she needs help. Mi So really doesn’t know how she’ll ever be able to repay him for all his help in this lifetime. Kyung Soo scolds her for this. He’s not doing this for thanks, but because he genuinely wishes to help her. If she thinks this is because he feels a sense of debt towards her, so be it. Mi So cuts him off—she doesn’t think that. She knows it isn’t because of a debt or pity, but because he’s a genuinely good man. Sure, she doesn’t know him well, but he was like that, too when they met at the orphanage. Mi So believes her first impression of him is his true image. This makes him smile a little. Mi So then asks again about why he called her earlier. 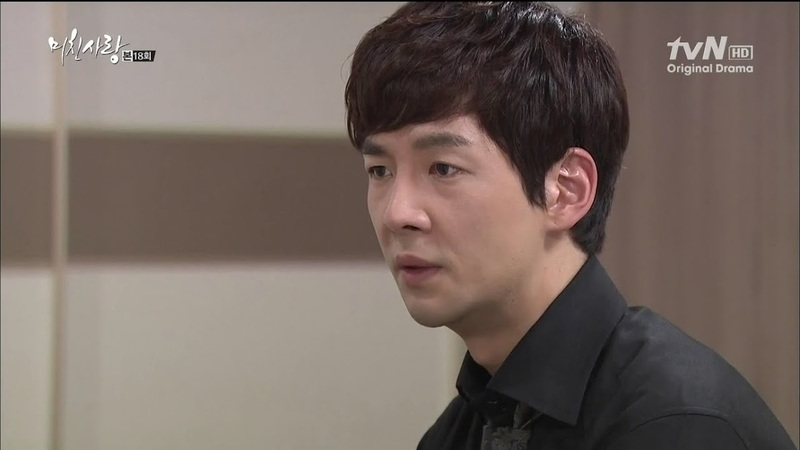 Kyung Soo asks if there is really only a debt relationship between the Yoon family and Tae San Capital. Mi So confirms this, but why is he asking? Was there a problem clearing the debt? Kyung Soo assures her that isn’t the case. At this time, Yoo Jung and Hae Ryung are out taking a walk for exercise. Hae Ryung bends down to tie her shoe and Yoo Jung looks up to see Kyung Soo talking with Mi So and she doesn’t like what she sees. Hae Ryung gets up and Yoo Jung turns Hae Ryung’s attention away from that direction and asks her to go shopping with her. Crisis adverted for now. Kyung Soo returns home where his father-in-law is waiting up and drinking for the Oh women to return. We then learn that 17 years ago Kyung Soo first met Oh when he came pleading for a scholarship. Oh laughs about how Kyung Soo has never changed and is as stoic as ever. He wishes his son-in-law to be more open and fun. They should also try hiking and going to the sauna together. Enter the Oh women. Hae Ryung asks if her dad is imposing on her husband again. Oh assures her he’s too frightened of her to do that. Hae Ryung then goes back to her room and Oh pleads with Kyung Soo to talk with Hae Ryung to lessen her anger at her father. This makes Kyung Soo feel badly and Yoo Jung is shooting him looks, probably thinking about seeing him with Mi So. At the Lee household, Min Jae again asks how Mi So could just leave like that as he looked everywhere for her. She doesn’t answer. Did she take a taxi home? She still doesn’t answer. Min Jae then apologizes for speaking to her so harshly as he was just angry at that time. Of course this is Mi So’s fault for getting angry at him first. Mi So then apologizes for getting angry at him, she was just so upset at learning it wasn’t Hae Ram. She breaks down again and Min Jae takes her hand. They need to stay strong as such a thing could happen again. Enter Myung Ja who warns Mi So that she had better get her family in line. Myung Ja says that if anything happens to Hae Ram because of the open investigation, then she will make she that both she and Mi So die. She leaves the room and the upset Min Jae reiterates for the gazillionth time that he’s sick of this. Eyeroll. Mi So is sitting by the phone when she recalls Kyung Soo’s question about Tae San Capital. Her eyes open wide and she gives him a call. Mi So wishes an explanation for what he asked the other day. Does he think the organization could bear a grudge and took it out on Hae Ram? Kyung Soo says that isn’t the case, but he just wanted to cover all bases. He apologizes for even saying anything the other day. Is she all right? Mi So assures him that she is fine and hangs up. The diabolical Na Young is out scouting an award winning Korean chef. Her goal is to have Myung Ja beg for mercy and her help to win the project. She heads to the office where MIn Jae just hung up after learning the police have nothing new. She hands over the information and complains when Min Jae accuses her of having an ulterior motive. Even if everything else was a lie, her love was real. That’s the biggest lie of all. Min Jae assures her that he can take care of himself and hang on to his position without her help. Na Young doesn’t believe this. She only wants to be his support. Enter Myung Ja who is not happy to see the young woman. Myung Ja immediately orders her to get out. Na Young tries to play the kind, misunderstood girl, but Myung Ja is having none of it and keeps ordering her out. 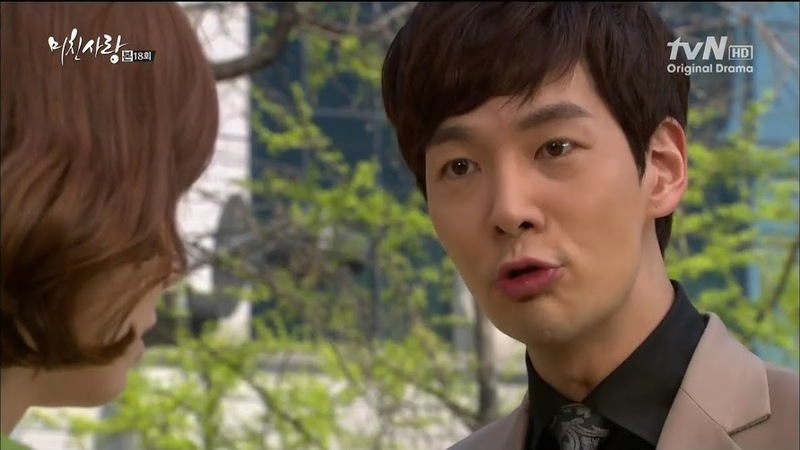 Min Jae, of course, stands up for Na Young and tells his mother Na Young was only bringing him the project materials. Na Young leaves happy and says that since Myung Ja didn’t raise Min Jae well enough, he will never be able to handle the company. Myung Ja goes over Na Young’s information and is livid at how good it is. How can that cunning and lying fox be that good at this work? Myung Ja then calls in Min Jae’s team only to become infuriated at their substandard work. Myung Ja then complains about how bad it is that Na Young just didn’t go to the proper school. Oh yeah, Na Young has her right where she wants her. Mi So has another hallucination that Hae Ram is home. She happily gets out of bed and tells her daughter to come to her. Hae Ram refuses. Why? Hae Ram then says she hates her mother for letting go of her hand. Such a sad, sad dream that brought tears to my eyes. Min Jae wakes up and wakes up the crying Mi So. Is she okay? Mi So looks around the room and can only tear up. Meanwhile, Kyung Soo is lying awake and recalling Mi So’s fight wither Min Jae. We then cut back to the Lee household where Mi So cries and begs her husband to kill her because she wishes to die. Aigoo. 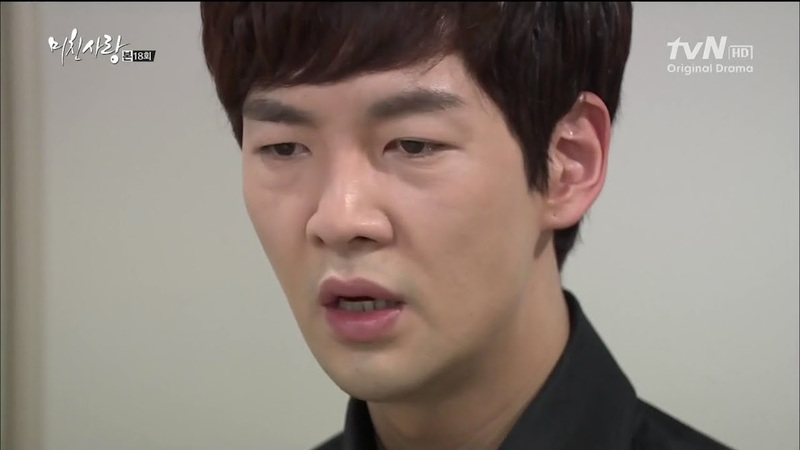 I’m really curious to what Baek will do once he sees Hae Ram’s news report as he does immediately think of Na Young. I also wonder how Na Young will use Kyung Soo’s feelings for Mi So against the woman…but then again…she probably won’t have to given it looks like things are only getting worse for Mi So in the Lee family. Why is Myung Ja calling her daughter-in-law a killer?